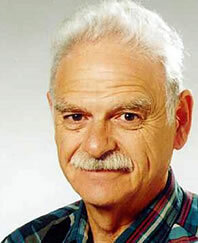 Dean: Joseph E. Keferl, Ph.D. The College of Education and Human Services at Wright State University is one of 39 out of 50 teacher preparation institutions in the state of Ohio accredited by the National Council for the Accreditation of Teacher Education (NCATE). Its entire education preparation program has NCATE accreditation and full approval by the Ohio Department of Education. The Council for the Accreditation of Counseling and Related Educational Programs (CACREP) has accredited the college's school counseling, and clinical mental health counseling programs. The college's undergraduate Rehabilitation Services degree program and the Master of Rehabilitation Counseling in severe disabilities and chemical dependency are all accredited by the Council on Rehabilitation Counseling (CORE). The college's Athletic Training Education Program (ATEP) is accredited by the Commission on Accreditation of Athletic Training Education (CAATE).